Do You Run Your Own Small Business? Read This! The rise of e-commerce has created a rise in the amount of people looking for self-employment—and why not? Running an online store, marketplace, or business is an excellent way to make money, and in most cases, also do something you love. Do you enjoy painting in your free time? Graphic design? Sewing? Writing? There are a ton of different platforms nowadays that allow you to monetize these things. 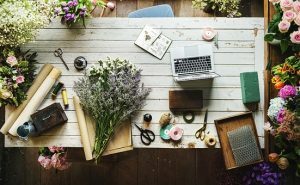 Etsy, Amazon Stores, Ebay, blogs, or even social media platforms in one way or another are spaces to create, build, and earn some money! So, you’ve started an online shop and you’re actually earning an income! What now? Well, that’s where I come in. As a financial advisor for small businesses, I am a firm believer in working for yourself while using your passions to build a strong financial future. With tax season in full-swing, I’d like to take time to inform you about your obligation as someone self-employed. To determine whether or not you need to file self-employment tax (SE tax), you need to figure out net profit or net loss from your business (business income, less your business expenses). If you have self-employment income of $400 or above, you are required to file taxes! Filing taxes on income earned from self-employment might be something that slips your mind, especially if you receive a W2 from a full-time employer, too. However, turning to a tax accountant for help while filing independently-earned income is very beneficial. As I’ve stated in previous blog posts, free, online tax software is very convenient. Unfortunately, this software is cookie-cutter, impersonal, and does not ask all underlying questions about what goes into the work you do. This is why turning to a tax accountant or tax professional is beneficial when it comes to filing for your small business. If you run your own small business or online marketplace, I will gladly help go through all options for filing your 2018 taxes. Call 702-515-4025 today for your free consultation.